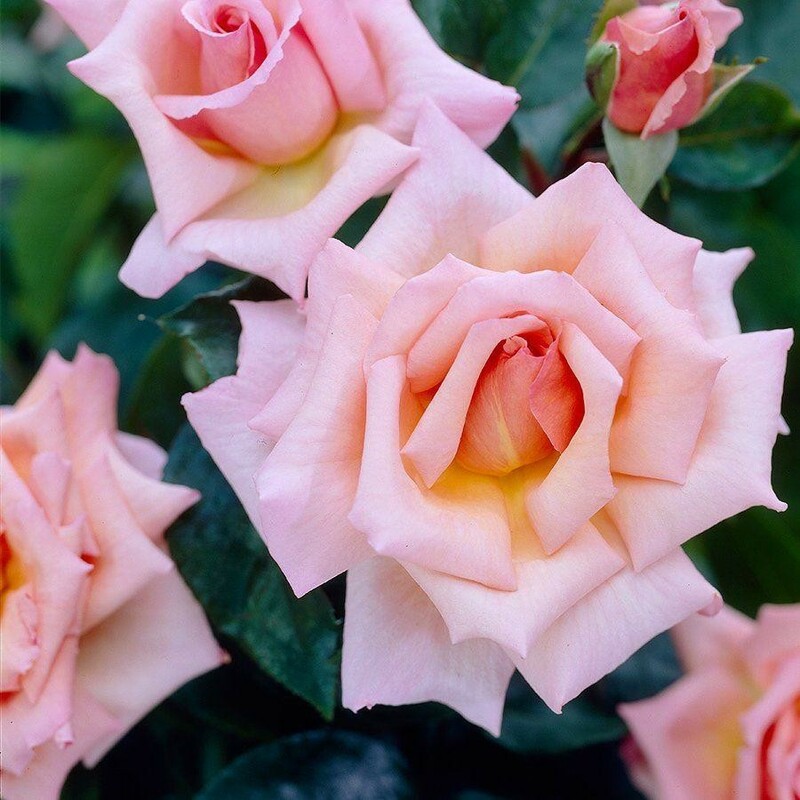 A profusion of fully double, apricot-tinted, salmon-pink flowers appear from July to September amongst dark green leaves on this desirable climber. Repeat-flowering Compassion is a climbing rose that looks really lovely against a sunny wall where the display can be offset by rendering or brickwork. It also works well around a doorway or over a large arch. Growing best on fertile soils, it produces several flushes of its beautifully shaped blooms all summer long. Climbing Compassion is also renowned for the superior scent of its flowers and excellent garden performance, as a result it has won the prestigeous RHS Award of Garden Merit. Growing to approximately 3-4 metres (10-12ft) if left unprunned Compassion is a modern climber that is very easy to grow. Strong plants supplied in approx 5 litre containers.